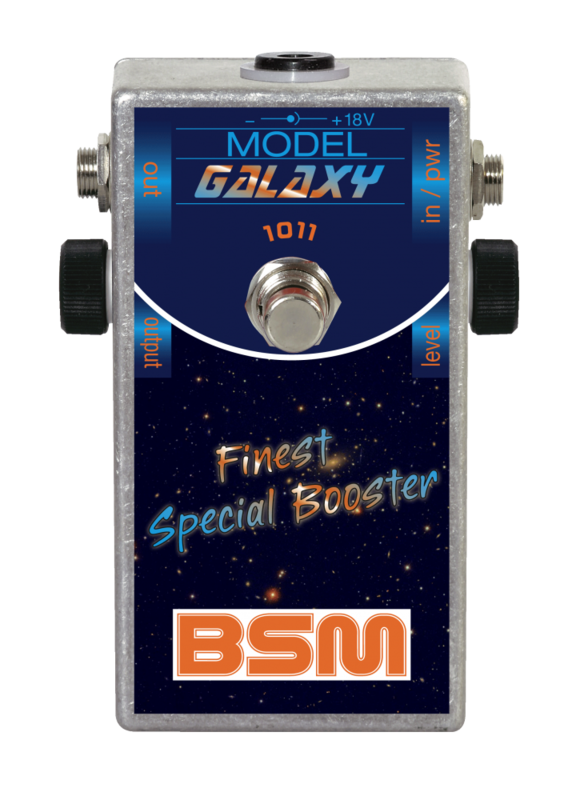 The BSM “Galaxy 1011” is a faithful recreation of the whole AIWA tape recorder sound stage, Ritchie Blackmore used from 1974 until today. This 18Volt unit contains the mic-preamp, the line output amp, the Marshall Factory mod and it holds a status LED. For best results you should power it with an 18v power supply. You can also power the unit with an internal 9v battery, but you will lose some dynamics and headroom compared to the standard 18v power. It is mainly intended for the users of a Marshall Major or clones of this. These are very special amps. With their special circuit design, they are very clean sounding amps and can not be compared to a normal Super Lead or similar (pentode design with EL34 or EL84 power tubes), that sound a bit dirty on their own. 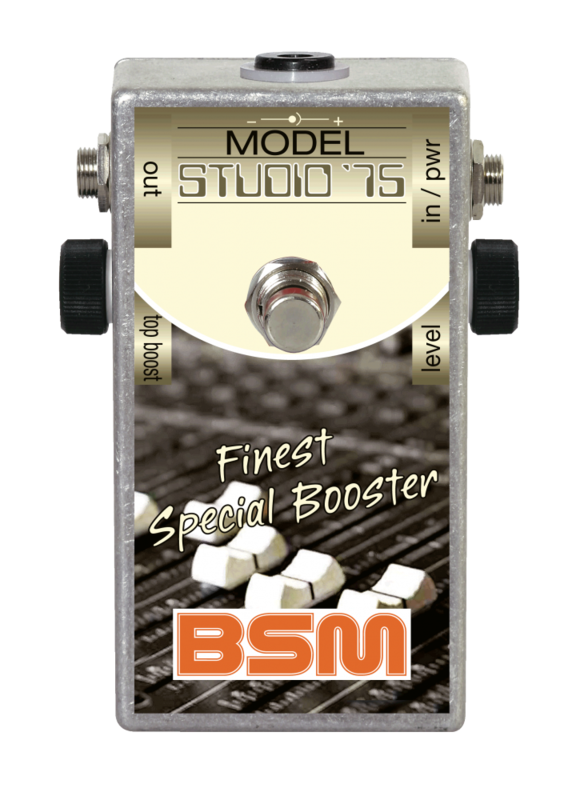 For more common amps the BSM RPA series (or the Studio '75) hold alternatives. So for the real freaks the search for an unaffordable original AIWA 1011 could be well over. 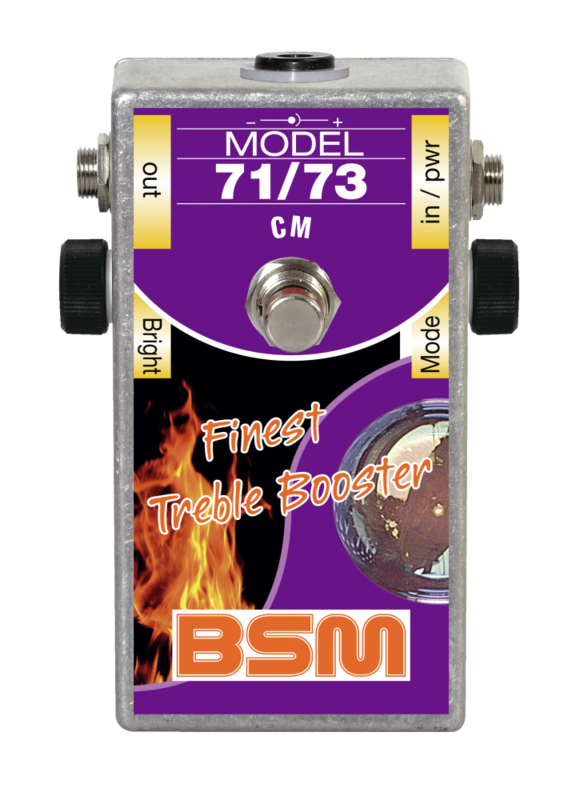 BSM designed a new private stock Booster just for the favourite taste of the company’s mastermind. It was intended in the first place to emulate the sound of the 1975 studio recording “Ritchie Blackmore’s Rainbow”, second to achieve Ritchie’s early Rainbow live at the end of 1975. Furthermore the unit was designed to get this sound from any stock “Bright” input found on classic Marshall amps. The basic sound can be described as crisp but there’s always an attractive little dirty break up noticeable, even in the clean position. The unit includes two mini lever switches. A 2-position one for “slope”, letting you have either a highpass-function or a pure AIWA preamp sound. Second a 3-position one for level that gets you the sound from nearly clean to a rich crunchy sound. If you are looking for Ritchie’s sound without buying a modified Marshall Major or a clone just with a stock Marshall amp, this booster could well fit your taste! The new “Albuquerque Booster” was inspired by Bad Company’s live Bootleg from Albuquerque on March, 3rd 1976. Guitarist Mick Ralphs as a habit recorded the gig amongst many other concerts. Ralphs had a rich harmonic Les Paul overdrive sound and with drums and bass layering the perfect Rock basis for Paul Rodger’s hoarse blues based vocals. 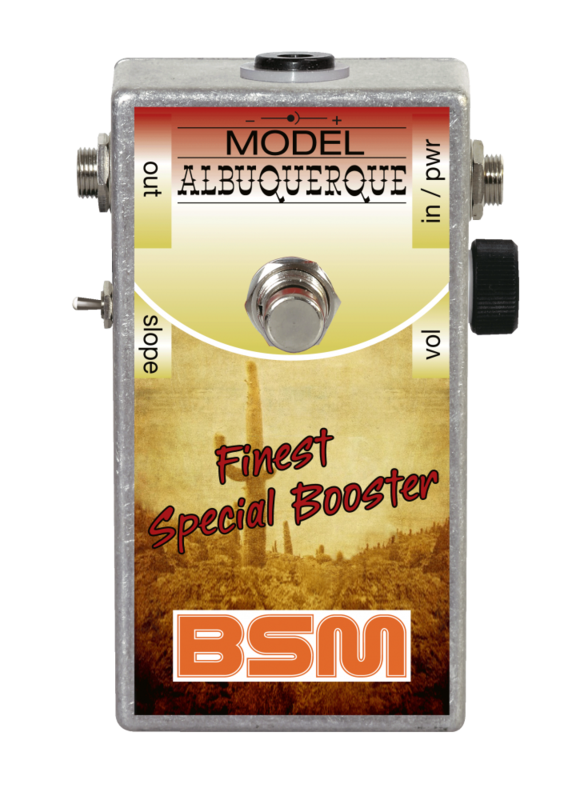 The „Albuquerque Booster” was mainly created for classic Humbucker like PAF equipped guitars so as to get the following amp in strong overdrive saturation. It has this effect with single coils as well. 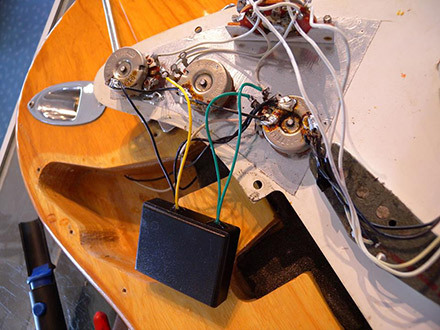 The “slope” switch is very useful if you have no “Bright channel” on your amp. You can reduce the amount of bass noticeable depending on your likes and the amp’s preamp characteristic. 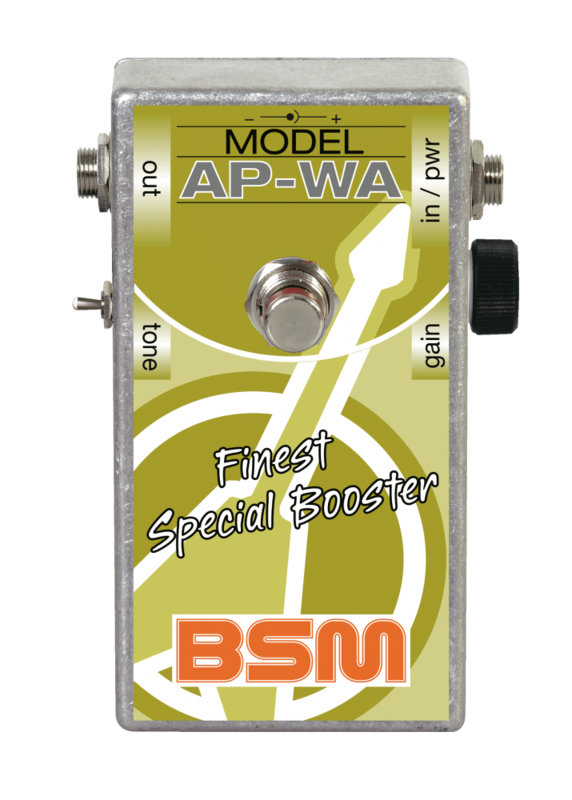 The new "Andy Powell/Wishbone Ash" booster will give you the pearly-sweet and creamy live tone, known from the british guitarist Andy Powell during 1973-76. His band Wishbone Ash was one of the leading european bands at this time, well known for their harmonic chorus playing of the two lead guitarists. BSM will focus on the clean & boost live sound of the "Ballad of the Beacon" folk-rock song. 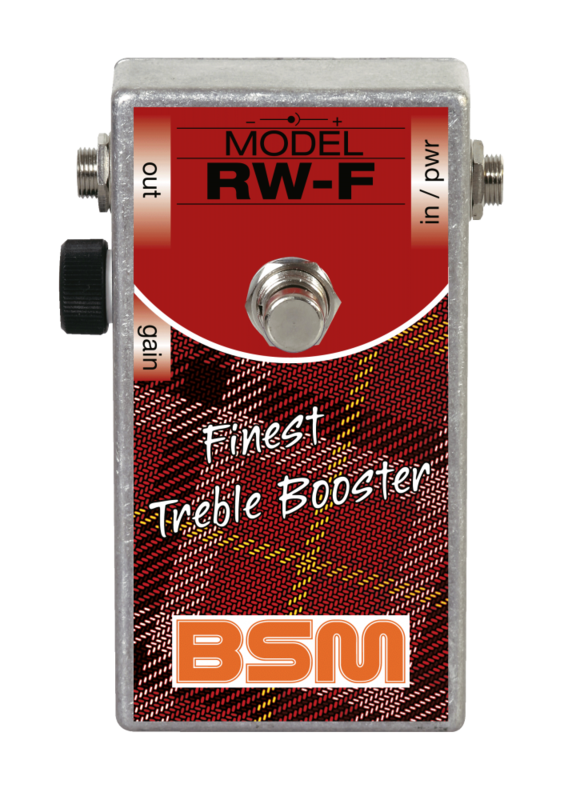 The RM is based on the British Range Master unit produced between 1965 and 1969, as used by Eric Clapton in John Mayall´s Bluesbreakers. Eric also used the booster when playing in the legendary group Cream. Its biting, powerful sound is clearly in evidence on the Bluesbreakers "Beano" album. Blues rocker Rory Gallagher, Glam rocker Mark Bolan, Heavy Rock pioneer Tony Iommi and Brian May from Queen were also heavy users of the original Range Master unit. 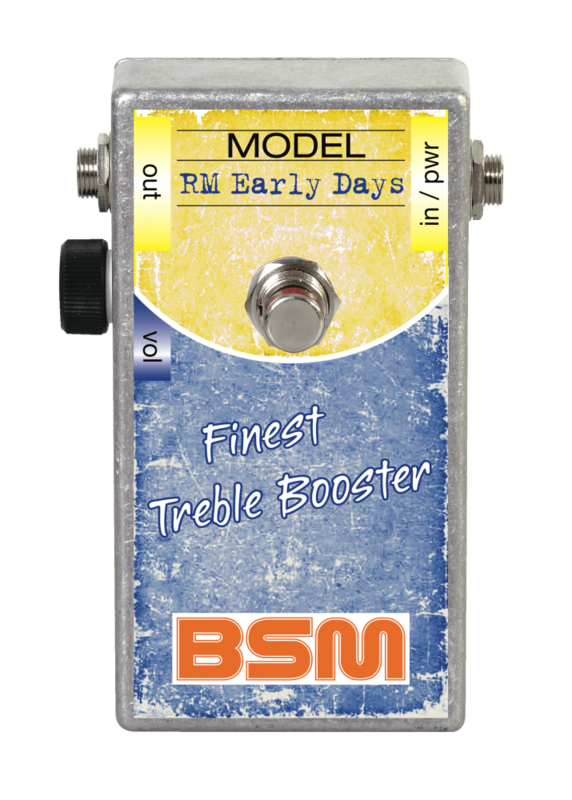 The RM Early Days is the result of many customers´ demands, looking for the early RM sound. The RM Early Days is loaded with the same highly selected OC44 transistor, used for the famous stock RM model. Only the passive circuit has small differences to the stock RM unit. Therefore the RM Early Days sounds a little clearer and brighter in treble and tighter in the bass-response, compared to the stock RM. 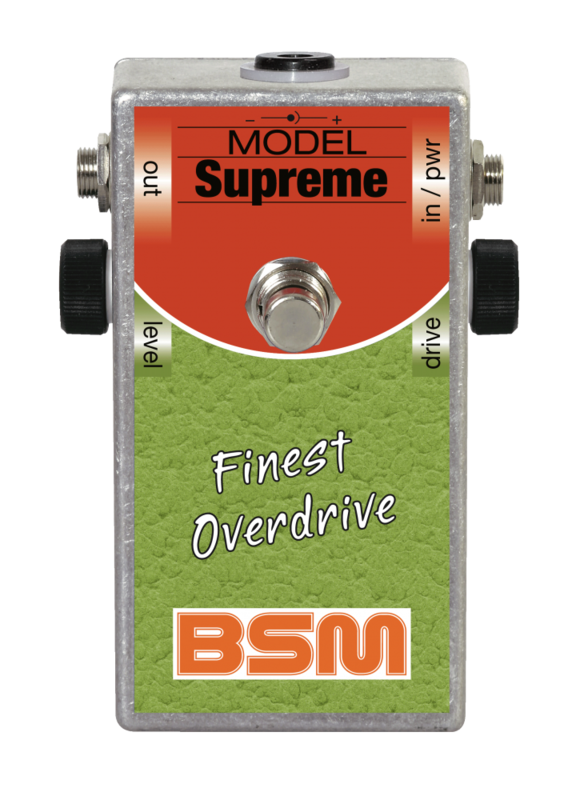 It's a fine machine for a brilliant classic rock tone. The booster is true bypass and can be powered only by battery.